Do you LOVE to travel? 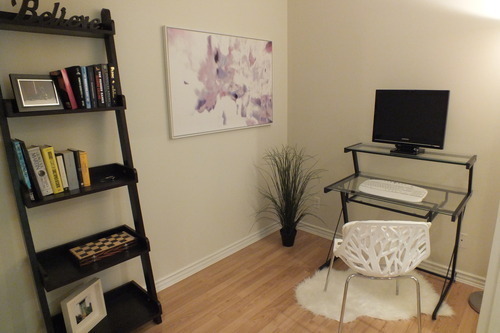 Are you wanting to decorate your new condo but don’t know where to start? Why not use your love of travel as your inspiration? It’s a great starting point and I have some wonderful ideas for you to steal! 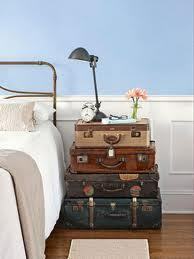 How about this great stacked suitcase side table? You can find some beautiful, old suitcases at thrift stores. Keep on the look out and you will find them! 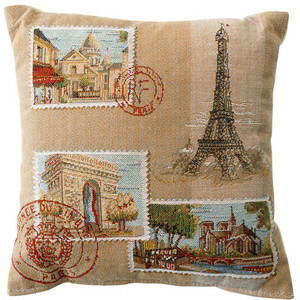 Accent pieces like pillows with a ‘worldly’ theme can be found and can be added to the furniture you already have to add the travel theme. You can find travel accented items at specialty boutique furniture stores or why not try shopping Amazon for the piece of your dreams! 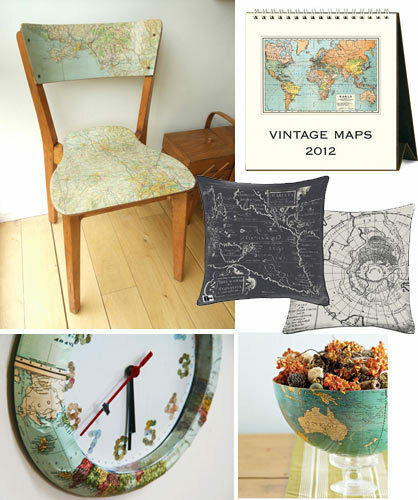 How about map wall paper in one room? You can then put pushpins into the places you’ve been and coloured sticky note strips on the places you PLAN to go to. 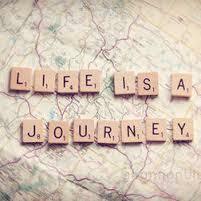 Life is a journey, celebrate your travels every day! Contact us soon to help you decorate the home of your dreams with your passions as a starting point and theme of your new abode. Have a wonderful and inspired day! PAINT COLOUR - How important is it? When you are trying to sell your home, it’s very important to have it appeal to the majority of people. 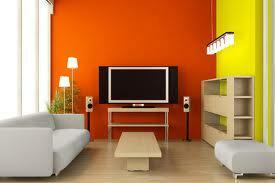 If your wall colour is too bold you may be cutting your potential buyers in half. This will then lengthen the time your home remains unsold and on the market. 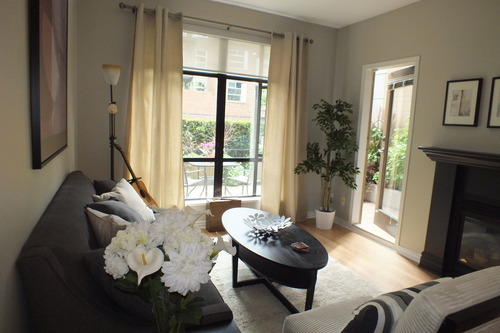 Looking at the picture below you see the difference paint colour will make in the same room. No matter how much you like blue or purple, or how well your personal items go in these rooms, there will be many people who won’t feel the same way. The bottom right picture will be the most appealing to potential buyers because it won’t matter what colour furniture and accessories they have, they will most likely work. The rooms below are all very tastefully painted, however, if the bold colours are not as appreciated by your potential buyers, you may not have an offer brought to the table. 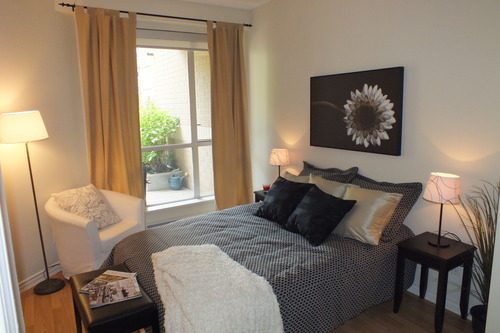 If people think that they have to paint before they even move in, you may lose them as a buyer. 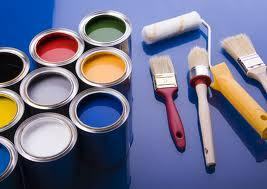 The thought of having to paint is often a huge deterrent for people when deciding what home they buy. 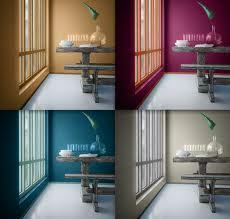 We would love the opportunity to do a colour consultation with you! 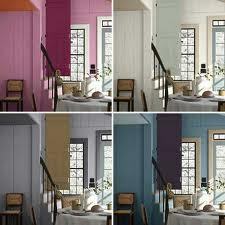 We can help you choose the right paint colour for your home, whether you are staying or selling. This home has been on the market for about one year with no bites! 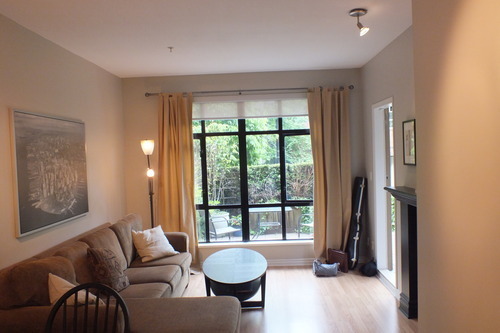 It’s a beautiful one bedroom plus den, condominium in Vancouver at 12th and Yew. We were asked to come in and stage it to set it up for success! It had a sofa that was much too large for the space, there was no colour in the artwork and no warmth in the accessories. We added plants and flowers, a cozy white area rug and purple artwork. The sofa we rented is a much better fit and there was even room for another chair to finish off the look of the room. 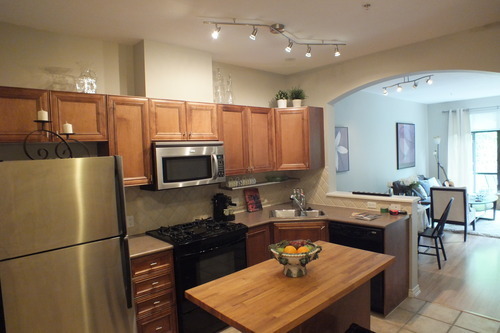 This is now an artistic and inviting space that will get a lot of attention at it’s next open house! 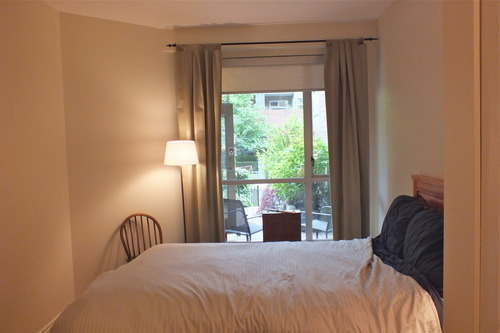 The bedroom had no artwork, a broken side table and an old chair. Not the type of bedroom you might want to escape to. After we added our touch, this room had style, colour and was a beautiful oasis to end a day in. 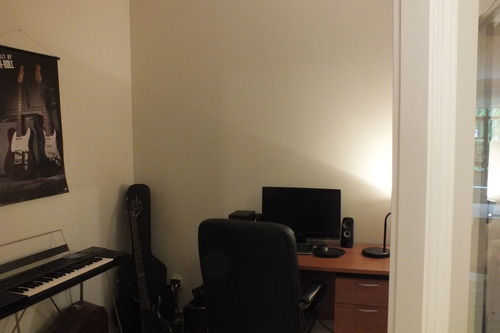 This den was being used as an office/music room. I’m sure that potential buyers wouldn’t be able to relate to how it was being used. We turned the den back into an office with a comfortable yet beautiful place to work in. Although the kitchen was tidy, there was just something missing. The large single white chair seemed wrong in a home with room for two. We added two bar stools, some greenery and accessories and now anyone who enters this kitchen can easily imagine themselves living there! If you know of anyone who has been trying to sell their home but are having no luck, we can help! We know what to do. Have a wonderful & Inspired day! 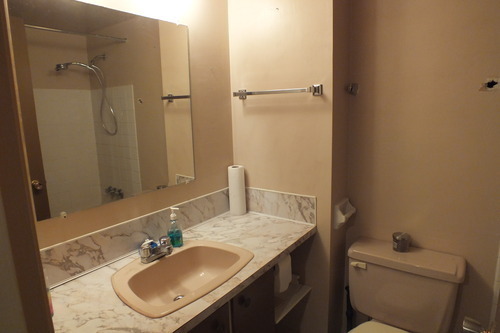 We are currently working on a renovation of a one bedroom condominium. I wanted to show a few ‘before’ photos. 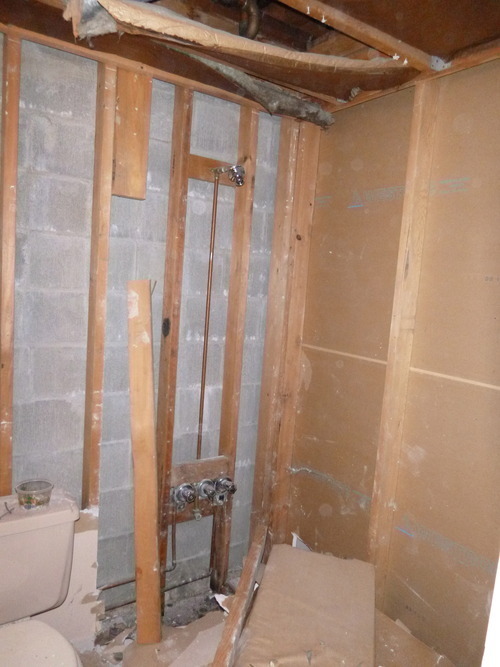 This bathroom was original 1970’s and was in desperate need of a complete tear down. We took it right down to the studs and were glad we did! This is the best way to see the possible problems moving forward. There had been some leaking over the years and the insulation was not in the best shape. Now the ‘putting back together’ begins! 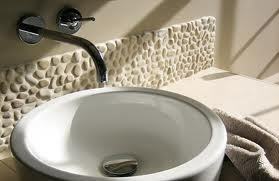 Choosing tile can be difficult, there are so many different kinds to choose from. I am loving the nature element of the stones as seen below. 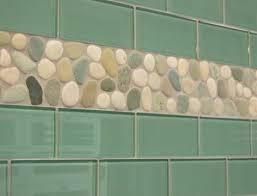 Glass tiles are also a favourite of mine but can be costly. We may consider using some for detail. 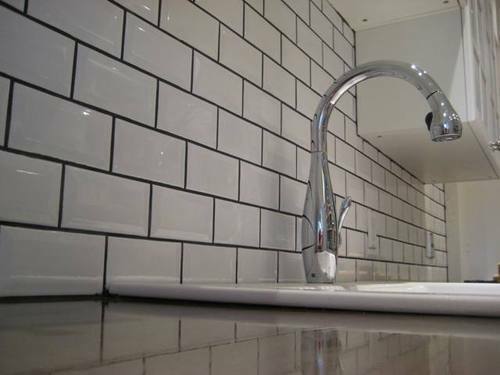 Rectangular subway tiles work well in the shower and come in most colours. The next decision will be THE SINK. 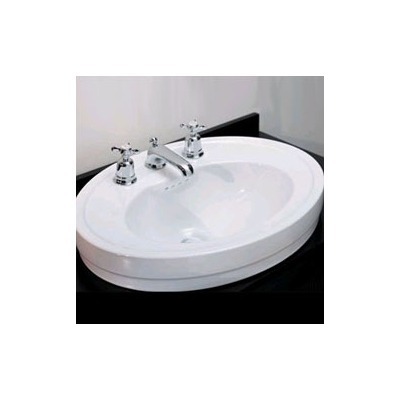 A classic oval sink just above the counter would work well in this bathroom. 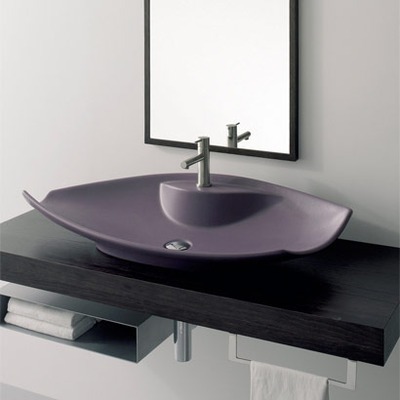 OR…the sink could look like a piece of art. I love this! 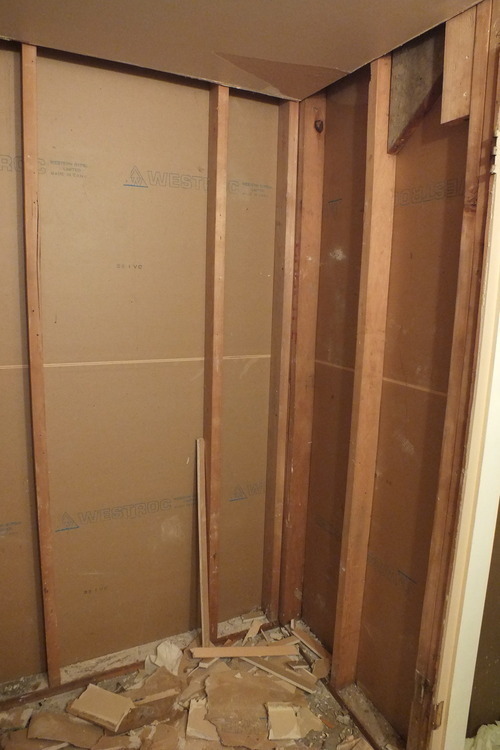 Stay tuned to see what we choose and what new look this bathroom takes on! Is this not the freshest, happiest looking kitchen?? I’m so sure that if the kitchen below was yours, you’d feel good every morning, no matter what time you had to wake up! 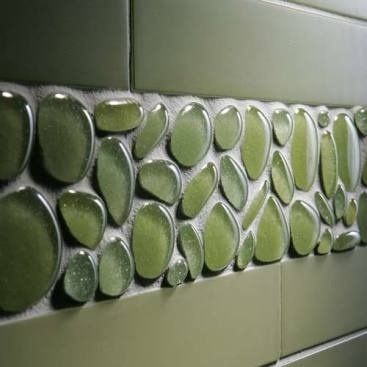 Since we’re in the middle of a kitchen renovation, I thought it would be fitting to show you some of my favourite looking kitchen backsplash designs. 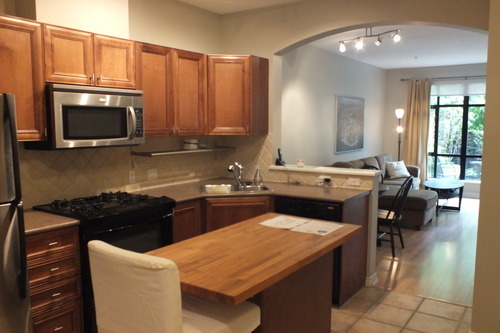 The kitchen below has a beautiful smoky grey tile that accentuates the stainless appliances. Choosing a white grout pulls in the white cabinets. I really like the brick look of this tile. 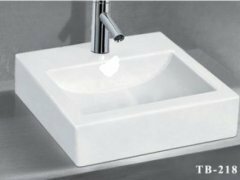 White rectangular tiles with black grout, subway style, is clean and fresh and for a small kitchen, will open up the space a lot. 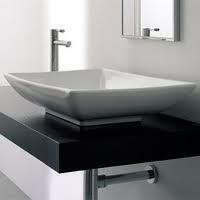 Any colour accessory will work beautifully, and really stand out, with a black and white kitchen. Another favourite of mine is the icy clear glass tiles. You can find them in many different colours. Easy to install and to clean, these are a great choice for any kitchen or bathroom. 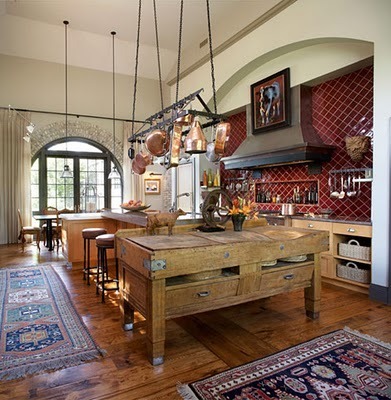 Whether your design style is refined, funky, subdued or loud, this is your time to be creative and make your kitchen represent YOU and how you want to use it. Invest a bit more in the high traffic areas. Over the sink and stove get a lot of attention. 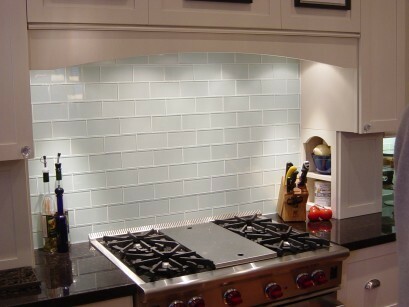 Why not place feature tiles in these areas and a more subtle tile in the rest of the kitchen? This will make a beautiful impact and will showcase the chosen style and feeling of your kitchen. The kitchen is the heartbeat of the house. The most popular place to gather at a party, where the meals are prepared and enjoyed and the best conversations are had. 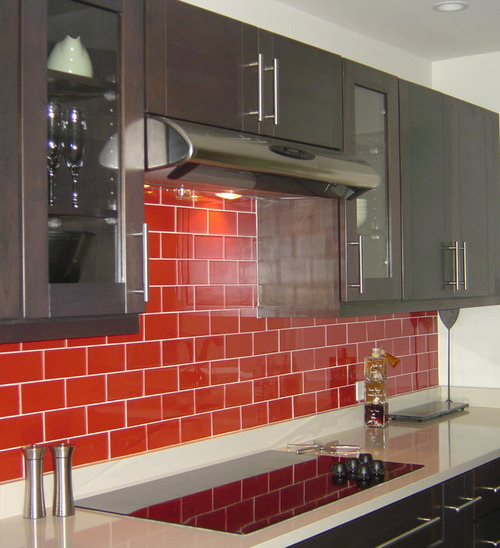 RED with white grout really makes a statement. It’s fun and represents passion, energy and a zest for life. 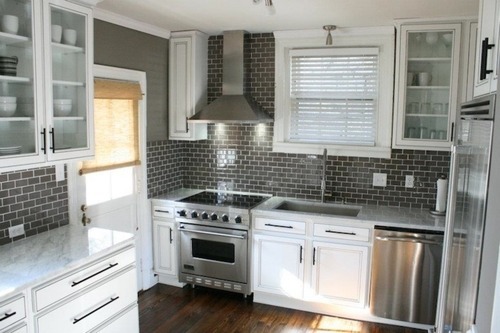 In a kitchen with stainless appliances it creates a modern look, with white it can appear vintage. Having a hard time deciding on what tile to use? Try living with them for awhile, tape a piece to your wall and see how it looks in the different light throughout the day before you make any big decisions. Processed request in 0.71583 seconds.